In 2011, we focused on understanding the change itself. In 2012, we focused on getting rid of the things that held us back. In 2013 we will focus on moving forward. It has now been two years since I created Baekdal Plus, although the site itself is almost nine years old. During this time I have written three books and 83 Plus reports (each between 10-45 pages long), as well as many extra articles. Starting a premium content service is never easy, and especially not in a world of abundance. That 'small' step of buying a subscription is also the hardest one. The challenges I'm faced with come in three guises. First, many people still believe that Baekdal Plus is just another blog. It's not. Each report is a strategic analysis within the topic that I'm writing about, but formatted in the shape of content that you can just as easily be read in Flipboard, as in a browser on a tablet. This has always been a challenge. If I formatted my reports as PDFs, that people had to buy and download (like this example over at eConsultancy), I would probably make much more money. But we all know how inflexible and backward PDFs really are. They come on a fixed format that limits how it can be used. It's not updatable, it can't include interactive elements (at least not in a meaningful way), and they are totally designed around print (and paging). So I opted to create a far more flexible format. One where you can read the reports just as easily in your favorite newsreaders as in a browser on your tablet. One that connects you. One that you can share. One that is updatable and can include interactive elements (if needed). The second challenge is that it's very hard to convey the depth and value of a Plus report to new readers. When you first come to this site, many just think a Plus report is a slightly long article. But they are much more than that. Baekdal Plus is pure analysis, sometimes spanning a very long time. For instance, my report about "Reverse Engineering Facebook EdgeRank" was the result of 2 months of analysis. The two reports "The Trends vs Paid-for Content" and "The Future of Paywalls" are the result of analysis of the transformation of paywalls over the past three years. But the challenge is that I haven't found a good way to convey this value to my first time readers. It's not a problem for those who subscribe, the challenge is with that first interaction. The third challenge is that I need to get better at telling people about the overall publication plan for Baekdal Plus. The new products, and how to think about them. Today, I know how each report fits together with the bigger picture, but I need to visualize that for you as well. Keep in mind that it's not one dimensional. Of course, there is also the overall publication focus. In 2011 Baekdal Plus was all about the shift. I focused on helping you understand how the world was changing. 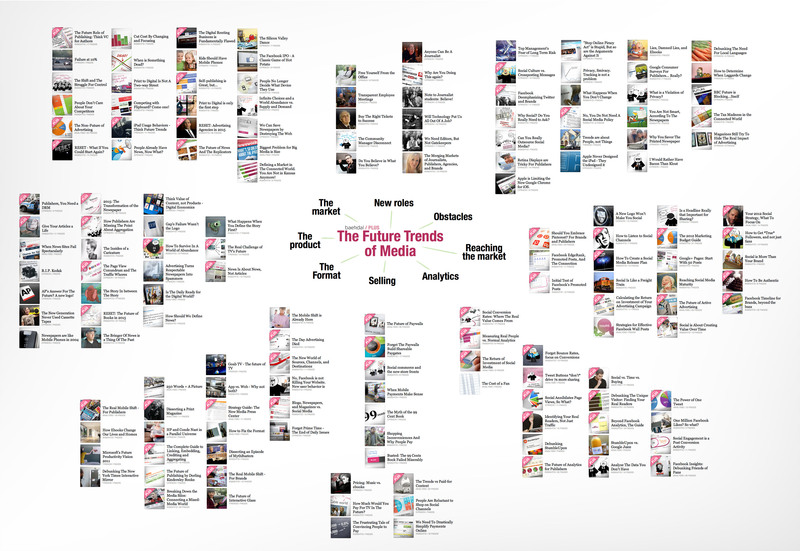 The transformation of the media wasn't just a shift from one format to another, but a shift from disconnected to connected. These were designed to facilitate change and help to point you in the right direction. Preparing you for the shift that was to come in 2012. In 2012 I focused on the next step, which was to challenge the misconceptions. This is an essential element when it comes to managing change. First you have to create a need for change, then you have to abolish the old so that you are not dragged down by your past. RESET - What If You Could Start Again? All of these are designed to help you think about the right things instead of trying to optimize a part of your business that simply isn't relevant for your future. What is the next step? What is the plan for 2013? The answer, of course, is to make it happen. In 2011, we focused on understanding the change itself. In 2012, we focused on getting rid of the things that held us back. Meaning that in 2013 we can focus on moving forward. I came across this great cartoon from the talented Guillaume Decaux (slightly modified). 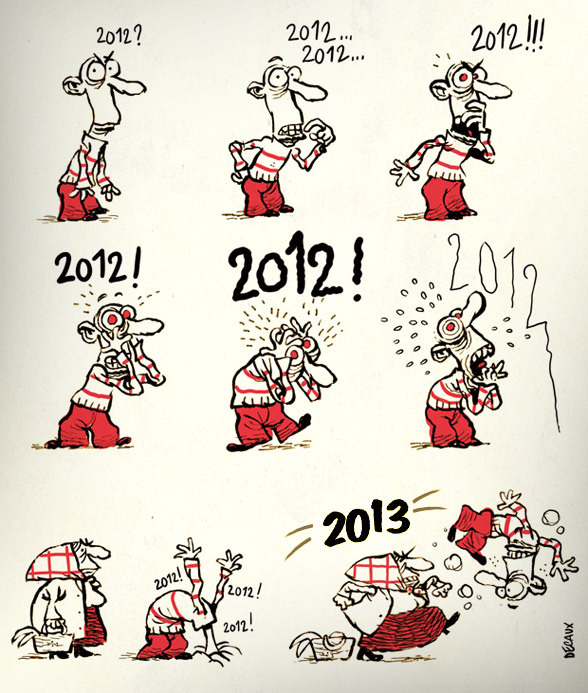 It pretty much sums up the year of 2012, and the plan for 2013. It's time to forget the old and all the problems with traditional media. It's time to move into the future. And that's going to be 90% of what Baekdal Plus will be about in 2013. I'm going to look at how to make mobile work. How to connect with people in a meaningful way. 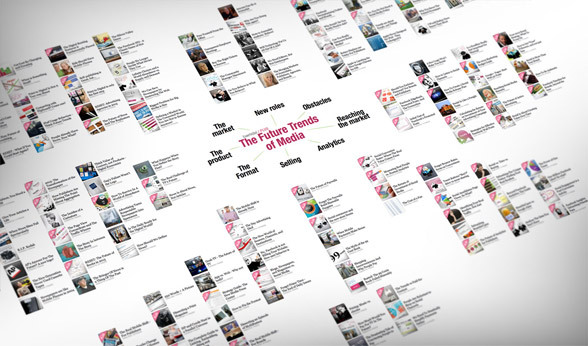 How to create the newspaper of the future. How to pivot your business and refocus your resources on new ventures ... and much, much more. Due to the challenges the media industry was faced with, 2012 was a bit of struggle. But now that is in the past, and 2013 looks to be extremely exciting. If you are already a Plus subscriber, make sure you go back and read some of the older reports as well as the new ones. And if you are not a subscriber yet, sign-up for a free trial, and see what it's about. If it's useful to you, for just $14/month, you get access to everything. All the reports of the past, all my books, as well as all the ones yet to come. And remember, every report is fully sharable, and it's through sharing that you help me grow. So if a report is useful for you, share with friends and colleagues.